A parade of lanterns shaped like samurai warriors is carried throughout the streets of the city of Aomori. Some can measure up to 8 metres high and 15 metres wide! 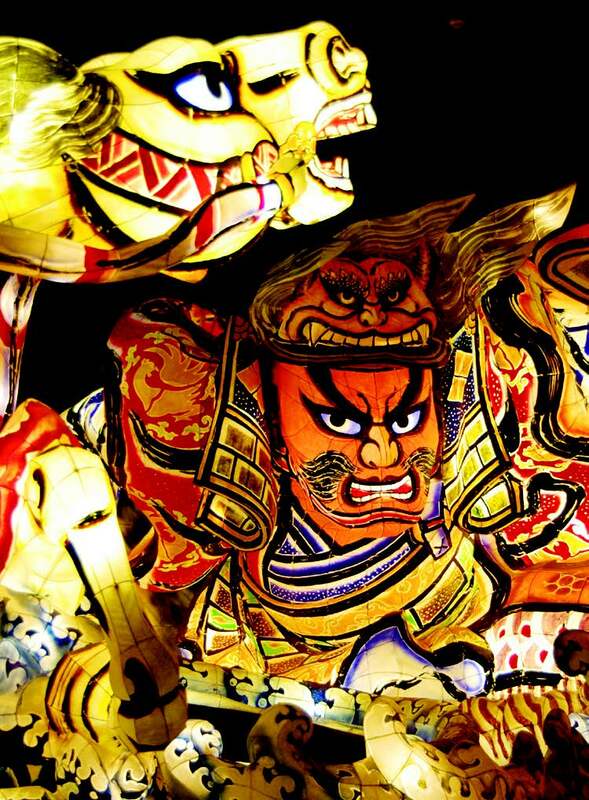 This is the largest nebuta (float) festival in Japan, attracting a large number of tourists each year. Since 1980, this festival has been designated as an Important Intangible Folk Cultural Property.